June 22, 2015, 11:42 a.m.
By Jan Schaffer @janjlab June 22, 2015, 11:42 a.m.
Nowadays, we often seek to measure media engagement by social media activity, web metrics, or attention minutes. But there was a time in the not-so-distant past — before the Internet and social media disrupted traditional media — when genuine engagement really worked. A period when news organizations actually involved people in their communities so successfully it triggered impact. With last week’s celebration of the tremendous journalism contributions of Ed Fouhy, the award-winning broadcast executive and founder of the Pew Center for Civic Journalism, it seemed like a good time to revisit what we already learned — but may have forgotten. During the heyday of civic journalism, which spanned a decade starting in the early 1990s, the Pew Center funded 120 newsroom projects and rewarded scores more with the James K. Batten Awards. More than 600 civic journalism initiatives were counted and studied by University of Wisconsin researchers, who found a pattern of outcomes. Some 78 percent of the projects studied offered solutions, and more than half included solutions offered by citizens themselves. I was on the frontlines of this activity. Fouhy hired me in 1994 to be his Pew Center deputy. A couple years later, I took his place at the helm. I find it striking how many of these efforts foreshadowed what we now call interactive and participatory journalism. Civic journalism began as a way to get political candidates to address the public’s agenda in running for office. News organizations soon adapted its techniques — starting with polls and town hall meetings — to difficult problems in their communities. Later on-ramps involved civic mapping, email, voice mail, cutting-edge video technologies, and eventually, of course, the Internet. Building specific ways to involve readers and viewers. Deliberately positioning ordinary people as capable of some action. Inviting the community to identify solutions. Taking Back Our Neighborhoods: This seminal initiative, a finalist for a Pulitzer Prize in Public Service, set the bar high for civic journalism projects. It evolved from the 1993 shooting of two police officers in Charlotte. Determined to address the root cause of crime, The Charlotte Observer partnered with WSOC-TV to synchronize in-depth coverage and give people things they could do reclaim their communities. Elements included data analysis, which identified patterns of crime and the most violent neighborhoods to spotlight. A poll asked residents how crime affected them, why crime was happening, and what were possible solutions. Town hall meetings and neighborhood advisory panels in 10 targeted communities contributed very specific lists of neighborhood “needs” that were published with each community’s narrative. Outcomes were impressive: Some 700 volunteers stepped up to fulfill the needs on those lists — from opening new recreation centers to making uniforms for a fledgling drill team. Eighteen law firms filed pro bono nuisance suits to close crackhouses. New community centers were built and neighborhoods were cleaned up. Eight years later, crime was still down and the quality of life had improved in eight of the 10 neighborhoods. West Virginia After Coal: The Herald-Dispatch in Huntington and West Virginia Public Broadcasting joined forces in 2000-01 to examine one of the state’s biggest issues: Its future without coal. The partners developed a groundbreaking database that exposed how virtually none of the $18 million in coal severance taxes distributed to the state’s 55 counties and 234 municipalities were being used for economic development. Instead, the funds paid for such things as dog wardens or postage. The media partners used statewide polls and an interactive town hall involving audience input from 10 different sites via cutting-edge video conferencing technology. By the project’s end, the state was promising more job training and more revenue targeted to economic development. Neighbor to Neighbor: In 2002, after the shooting of an unarmed teenager in Cincinnati sparked allegations of police misconduct and major rioting, The Cincinnati Enquirer embarked on an ambitious project. It held solutions-oriented conversations on how to improve race relations in every municipality and neighborhood in the regions — some 145 in all. Each group was asked to answer: What three things can people do to ease racial tensions? What three things would we like to see our community leaders do? How can we make it happen? Some 1,838 people participated; 300 people volunteered to host or facilitate the conversations. The project inspired much grassroots volunteerism and efforts among black and whites to interact. The project “started people talking together, going to dinner, meeting in their homes and going to school and churches together,” said then-managing editor Rosemary Goudreau at the time. The Savannah Morning News involved a large citizen task force in discussions and visits to 15 U.S. schools to figure out how to improve local education. A 1997 series on alcoholism, “Maine’s Deadliest Drug,” by The Portland Press Herald and Maine Sunday Telegram led to citizen forming 29 study circles that concluded with an action plan to stem alcohol abuse. We the People/Wisconsin, involving the Wisconsin State Journal and the state’s public broadcaster, engaged in some of longest-running efforts to bring citizens face-to-face with candidates running for statewide office. To be sure, journalism investigations often lead to widespread change. But, to me, so many of today’s journalism success stores seem pallid by comparison to what I saw during the period of civic journalism experimentation. Simply put: civic journalism worked. Readers and viewers got it. We learned that if you deliberately build in simple ways for people to participate — in community problems or elections — many will engage. Particularly if they feel they have something to contribute to the problem. Nowadays, this is so much easier than it used to be. All that is needed is the creativity to make it happen. 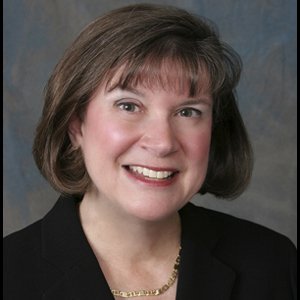 Jan Schaffer is executive director of J-Lab, a successor to the Pew Center and an incubator for entrepreneurial news startups. 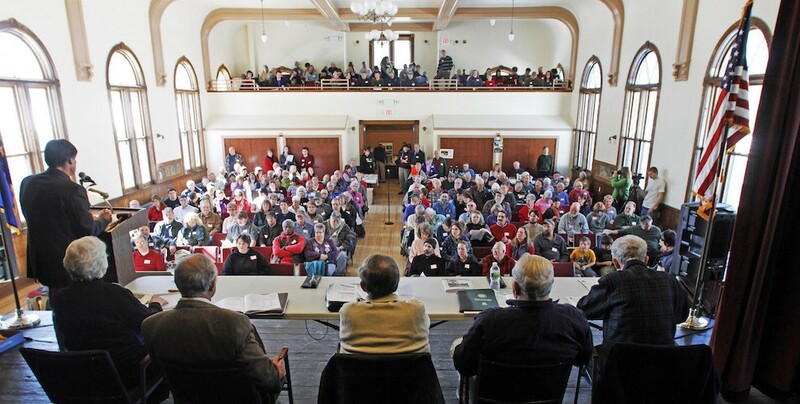 Photo of a town meeting in Bethel, Vermont, March 6, 2012, by AP/Toby Talbot. POSTED June 22, 2015, 11:42 a.m.
Schaffer, Jan. "If audience engagement is the goal, it’s time to look back at the successes of civic journalism for answers." Nieman Journalism Lab. Nieman Foundation for Journalism at Harvard, 22 Jun. 2015. Web. 18 Apr. 2019. Schaffer, Jan. "If audience engagement is the goal, it’s time to look back at the successes of civic journalism for answers." Nieman Journalism Lab. Last modified June 22, 2015. Accessed April 18, 2019. https://www.niemanlab.org/2015/06/if-audience-engagement-is-the-goal-its-time-to-look-back-at-the-successes-of-civic-journalism-for-answers/.